Migraines are much more than just an occasional bad headache. If you find your migraines regularly hijacking your to-do list, leaving you unable to play with your kids, get to work on time or socialize with friends at least half of the month, you may have a condition called chronic migraine. Chronic migraine is a debilitating problem that affects up to 5 percent of the population, mostly women. Previously called “transformative migraine,” chronic migraine tends to worsen over time. Headaches may start in childhood or adolescence and then gradually strike more often and cause increasingly more pain. People with chronic migraine deal with headaches on 15 or more days a month. Women are three times more likely than men to experience migraines. What are the symptoms of chronic migraine? What’s the difference between migraine and chronic migraine? The biggest difference between migraine headaches and chronic migraine is their frequency. People with episodic migraine headaches have acute attacks that last between four and 72 hours and occur anywhere from several times a month to once every few years. People with chronic migraine, on the other hand, experience headaches at least 15 days a month and meet the additional criteria for the condition established by the International Headache Society. If you suffer from chronic migraine, surely you wonder what’s behind them. Could it be your third daily latte? Is it fumes from the carpet in your bedroom? Or could it be because your mother suffered from migraines all her life? Researchers are currently looking into why occasional migraines progress to chronic migraine in some people. The transformation may be due to physical conditions, environment, genetics or a combination of all three. Studies suggest that certain people who get migraines are at risk for getting them more frequently. People who have suffered a closed head injury and individuals with a family history of migraine are likely to develop chronic migraine. Chronic migraine can also be brought on by overuse of acute medications that are designed to get rid of an existing headache. What should a woman do if she suspects she has chronic migraine? In too many cases, people with chronic migraine mistake their symptoms for tension headaches or infrequent migraines, and they pop a quick-fix medication and go on with their lives. This only masks an escalating problem. If you notice your headaches becoming more frequent, more severe or both, talk to your health care professional. The sooner you get treatment for chronic migraine, the better. Ideally, you should see a qualified headache specialist; he or she will be able to provide the best possible treatment options. How is chronic migraine treated? The first goal in treating chronic migraine is to control the things that trigger the headaches. These triggers may include sleep problems, changes in eating habits (such as skipping meals), physical activity and numerous other factors. Alcohol, caffeine, smoke and some over-the-counter and prescription medications are considered triggers for migraines. Keeping a headache diary, in which you write down how you felt, what you did and what you ate on a given day can help you pinpoint triggers. For instance, if you find your afternoon diet soda or nightly red wine are often followed by a throbbing head, cut back on these indulgences, or avoid them completely. Pain-relieving medications, or abortive treatments, are taken during migraine attacks to stop symptoms that have already begun. They include nonsteroidal anti-inflammatory drugs (NSAIDS) and migraine medications called triptans and ergotamines. These medications are used no more than two days per week; taking them more often can lead to rebound headache, a vicious headache cycle that occurs when the body adjusts to too much pain medication. 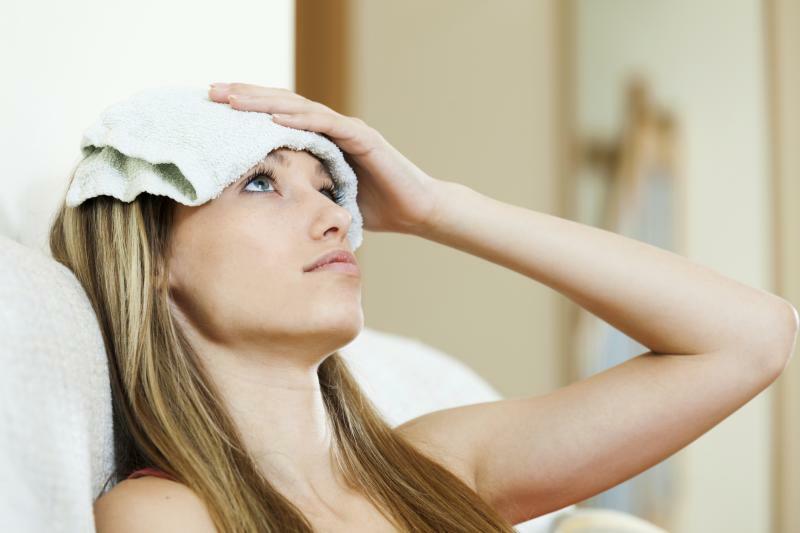 Preventive medications are taken regularly to reduce the frequency or severity of migraines. They include antidepressants, beta-blockers, calcium channel blockers and anticonvulsants. What are some lifestyle changes that can help ward off chronic migraine? Keep your caffeine consumption to a minimum, only one cup of coffee or a caffeinated soda a day, if possible. And check caffeine contentsâ€”some popular brands contain three times as much caffeine as others, making even one cup too much. If you are supersensitive to caffeine, you may need to cut it out altogether. Sleep about six to eight hours per night. More or less sleep can trigger migraines. If you snore or have sleep apnea, see a health care professional for treatment. Maintain a healthy weight. Women with a body mass index of 30 or more or whose waists are larger than 35 inches in circumference are at an increased risk for chronic migraine. Practice relaxation techniques, such as meditation, yoga or guided imagery, especially when facing stressful life events. Exercise regularly with an activity you enjoy, such as walking, swimming or biking; be sure to check with your health care professional before starting any physical exercise.